For many of us, stretch marks are a part of life. Our bodies change as we age, especially if we choose to have children. Puberty, pregnancy, obesity, and even just normal growth can stretch the skin in different ways, resulting in changes in skin texture. While it may be hard to embrace them, they are nothing to be ashamed of! Here’s everything you need to know about stretch marks, from what causes them to how you can get rid of them. Stretch marks are stripe- or streak-like areas on the skin that are slightly different in color than the rest of the body. While anyone of any gender can have stretch marks, women are affected more often than men. They are typically found on the stomach, thighs, breasts, hips, and inner thighs, and they develop in the skin’s middle layer. As the body’s size and shape fluctuate, the skin will stretch to accommodate the changes. When the skin is unable to bounce back after stretching, these marks may appear. Pregnancy, puberty, trauma to the skin, and extreme weight gain can all lead to stretch marks. Stretch marks may also arise from using certain skin care products or taking medications that decrease the skin’s natural ability to stretch. 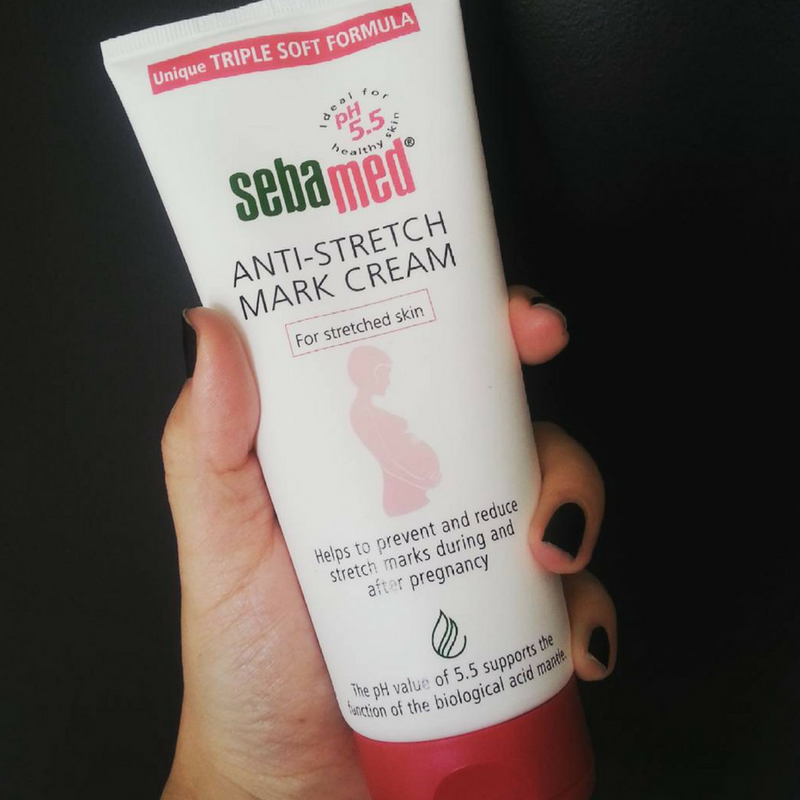 The simplest answer here is an anti stretch mark cream! Many brands offer a cream or moisturizer that reduces the appearance of current marks and prevents new ones from forming. These creams focus on restoring your skin’s connective tissue, which in turn smooths the skin’s texture, improving your overall skin tone. Many laser treatments will reduce inflammation, since fresh stretch marks appear red. Others create microscopic holes in the skin to capitalize on the skin’s natural ability to heal while increasing collagen production. However, laser treatments aren’t meant to last forever; they simply make the marks less visible. A good moisturizer is always your friend! Moisturized, hydrated skin is not as red or inflamed, which won’t exaggerate the appearance of stretch marks. Extra points if you choose a moisturizer that’s formulated to even skin tone. Stretch marks or not, Sebamed offers a wide range of skin care products suitable for every skin type, from dry skin to oily skin. Our range of washes, moisturizers, and creams are gentle on sensitive skin while healing problematic skin conditions. Check out our complete lineup here. Previous Previous post: 4 Baby Cream Myths, Debunked! Nice blog, good information is given about causes of stretch and how to rid stretch marks. Was helpful. Thanks for sharing with us. You’re very welcome Sonali! Thank you so much for taking the time to give our article a read and provide us feedback. We hope to hear from you again in the future! Best wishes.